Remember when the only way to watch your favorite TV show was to sit on the couch at the exact time the show was set to air? Oh… and you could only use the bathroom or grab a snack during the commercial break. How did we even SURVIVE this inconvenience? Needless to say, the way we consume TV content has changed. 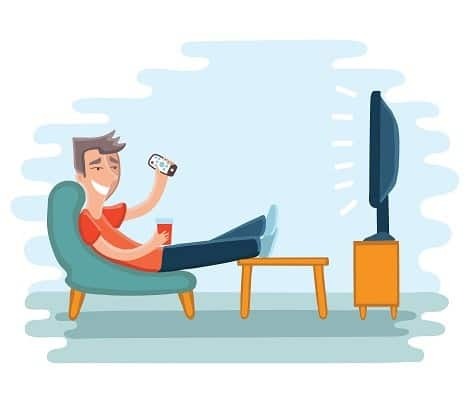 More than half of 18-to 49-year-olds watch very little TV or do not subscribe to TV, according to Google, and the number of households without a traditional TV subscription rises each year. I probably don’t need to tell you this, but traditional cable and satellite providers are struggling, having lost about 415,000 subscribers in the second quarter of this year alone. And while the struggle is real for cable providers, traditional TV content is not dead (and won’t be for the foreseeable future). Many factors, including video streaming services, digital ad spending and mobile user growth factor into the shift in TV entertainment. Social media growth, particularly that of YouTube, is among the top reasons why TV entertainment is a changing landscape. Why should you consider YouTube? As of September 2018, the total number of monthly active YouTube users was 1.9 billion. People are not just watching YouTube on their mobile devices and they’re not just watching cute cat videos. In fact, people are spending twice as much time watching official TV channels on YouTube as they did two years ago, and they are watching it ON their TV. YouTube is the second fastest growing search engine and the second most trafficked site, the first being Google. Owned by Google, YouTube applies the same principles of enhanced user experience and user-focused algorithms as the traditional Google search engine. And just as Ads on Google search offers affordable and targeted opportunities for web marketing, YouTube also offers targeted, affordable and effective marketing opportunities. In fact, more than half of marketers are advertising on YouTube, reporting that they see YouTube content driving views, engagement and purchases. What does this mean for your marketing dollars? If your marketing goals and dollars are conducive to producing YouTube content and running ads, it could be worthy of your time. The data and projections can be compelling. Google estimates that by 2025, half of viewer under the age of 32 will not subscribe to a paid TV service. And it’s not because they’re not watching… it’s because they’re watching online video content instead. Users view more than 500 million hours of video each day on YouTube. And if your customers are among them, targeting them on YouTube and re targeting them can increase click-through rate and conversion rates.